The legendary Krakow Market Square remains the permanent symbol of the city. The square was founded back in medieval times. This is also the largest square in Europe. Market Square has a square shape and the length of its sides estimates 200 meters. On the square is located kostel sv. Vojtěcha, the construction of which took place in the end of the 11th century, as well as ruins of the old town hall, which was destroyed more than 600 years ago. St. Mary's Basilica is another important sight. The construction of the temple took place in the middle of the 14th century. Now its halls are home to several important religious artifacts. Here you can see a beautiful wooden altar, which was brought to the church immediately after its opening. From the height of the church’s tower you will be able to enjoy beautiful views of the city. It is believed that several centuries ago a trumpeter, who was on duty on the tower, was the first one to see the approaching army of Tatars, so he notified all residents of the danger. 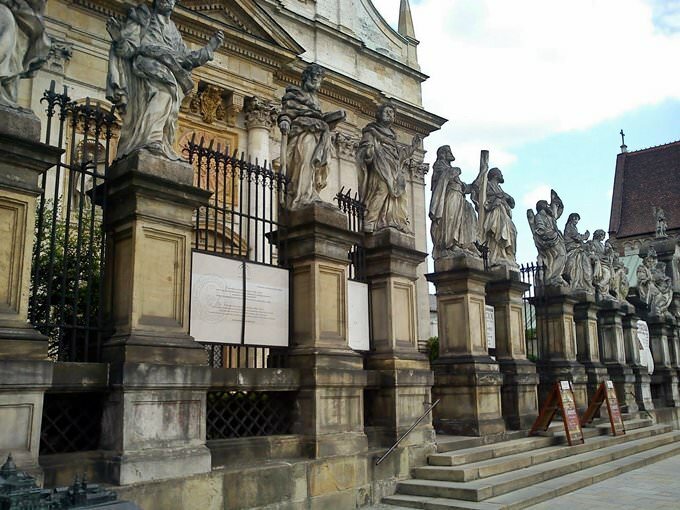 These are only a few historical monuments that are worth visiting by the guests of Krakow. The name “Krakow” is associated with many legends and myths. Subsequently, the museum Dom Turecki, built in the year 1910, today holds secrets that may be revealed to the most curious tourists. The building was constructed in oriental style, which is very uncharacteristic for a European city. It is for this very reason that this miracle of architectural idea attracts the attention of hundreds of tourists to itself. Another place considered interesting and unusual for Krakow is Muzeum Witrazu, where you can take a peek at a unique exhibition of stained glass windows. Also interesting is Sukiennice museum, once the liveliest area of ​​the cultural capital of Poland. Brama Florianska – the entrance to the Old Town – will appeal to both history lovers and those who are crazy about beautiful fortifications. Built in the XIII century to protect the city, today the gate preserves the memory of many important historical events that took place in the cultural capital of Poland. 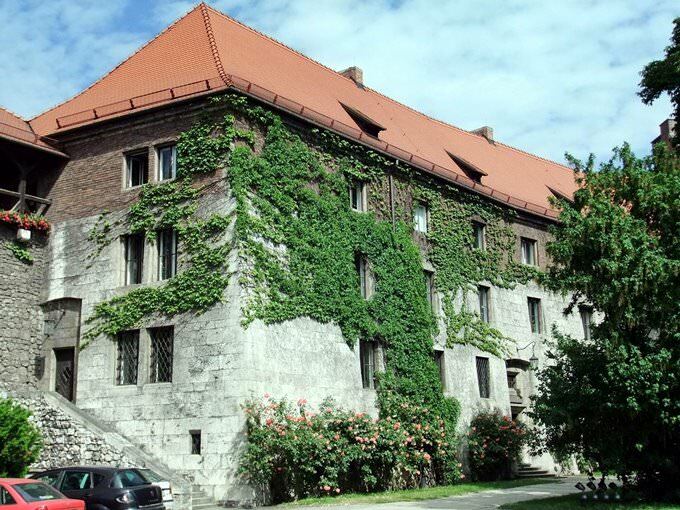 Przegorzaly Castle, built at the beginning of the 20th century, is yet another place worth visiting. On the first floor of the building, you can drop by the restaurant, and then – engage in “devouring” spiritual food. Barbakan, a fort that was built in turn for the defense of Brama Florianska, is also very popular among lovers of fortifications. Those who are fond of mysteries head for Krakow in crowds. Last but not the least, they do that because there are lots of intriguing catacombs within the city. They are located under the church and the Franciscan monastery, whose construction dates back to the 17th century. More than a thousand monks, townspeople, and nobles found eternal peace here, but the key point is that due to natural conditions, the relics of the dead are preserved in the form of mummies. The remains of clergymen are honored here in a particular way – you can recognize them by their glass coffins. Also in front of “Kościół Rzymskokatolicki pw. św. Mikołaja” you can see the so-called “Lantern of the Dead” – this is a stone structure, specially built in front of buildings that housed infected people. Many legends are associated with such lanterns and this building is no exception. There are fascinating sculptures in Krakow too. Interesting monuments reminiscent of the tragic events in the history of Poland include Plac Bohaterów Getta, Grunwald Monument. Fabryka Emalia Oskara Schindlera (by the way, the film “Schindler’s List” was shot right in Krakow. The shooting took place very close by, in Kazimierz district) and Muzeum Historyczne Miasta Krakowa Ulica Pomorska. It is also worth seeing the monument to dog Dzok, “The Head or Eros Bendato”, and monuments to the famous people of Poland such as; Adam Mickiewicz, Jan Karski, Peter Skrshinetsky, Peter Skarga, Jozef Pilsudski. 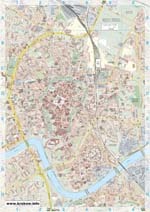 In the section below, you can get one of our excursion, activities or city discovery tours over Krakow and surroundings. Our website offers 10-30% lower ticket prices, when compared to the offline purchase on the spot. » The Church at Skalka, or the Church of St. Michael the Archangel and St. Stanislaw is the Catholic Church in Krakow located on a small hill. » The church is one of the most famous Polish sanctuaries. » According to legend, the name of the church comes from the fact that here in 1079 the Archbishop of Krakow, Stanislaw Holy, was killed on the order of Polish King Boleslaw II. » The crypt under the church is the national Pantheon, the burial place for some of the most prominent Poles. At the moment 13 Polish figures of culture are buried there. » In 2005, Pope Benedict XVI conferred the small church the title of the Basilica. » The St. Mary Church or the Church of the Assumption of the Blessed Virgin Mary is the Catholic church that is an example of Gothic architecture. In 1962 it received the title of the minor basilica by Vatican. » The Church has two towers. 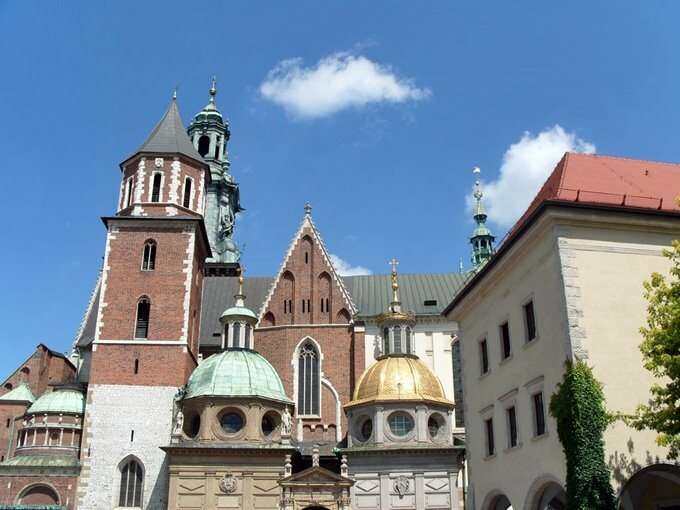 Every hour Mary's heynal (time signal) is heard from the higher tower, which is one of the symbols of Krakow. » The church facade is decorated with 21 sculptured figures. » The church houses two particularly important works of art of medieval Europe: the altar and Vita Stwosza crucifix. » Shackles are mounted at the entrance to the church, which were once used for criminals. » The St. Peter and St. Paul Church was the first construction on the territory of Poland built in Baroque style. » The church is famous for its figures of the twelve apostles standing at the entrance to the shrine. » The high altar of the church built in Baroque style in 1785 is particularly notable. » Inside the church there is the longest Foucault pendulum in Poland, the movement of which shows the daily rotation of the Earth. » The church regularly hosts concerts of sacred music, and the patio is a usual venue for theatrical performances and art exhibitions. 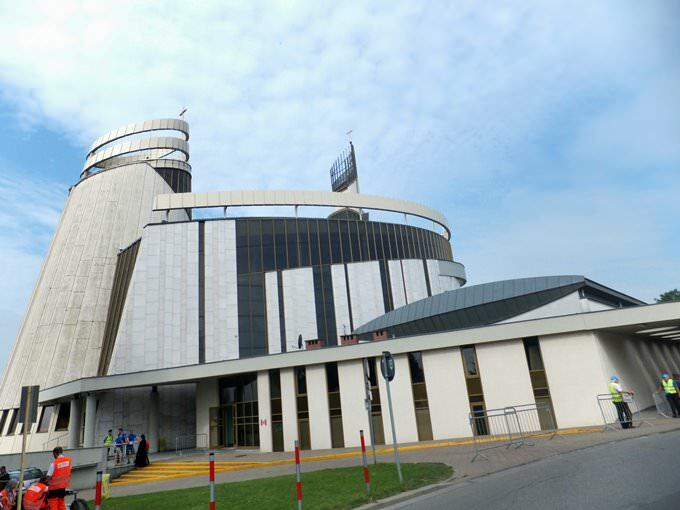 » The Divine Mercy Sanctuary is the serving Roman Catholic Church in Krakow. » Two of the Pope visited the shrine, and millions of pilgrims from all over the world continue to come there every year. » Currently, the sanctuary can accommodate about 5,000 people. » Some cases of people healed after they have visited this church are known. 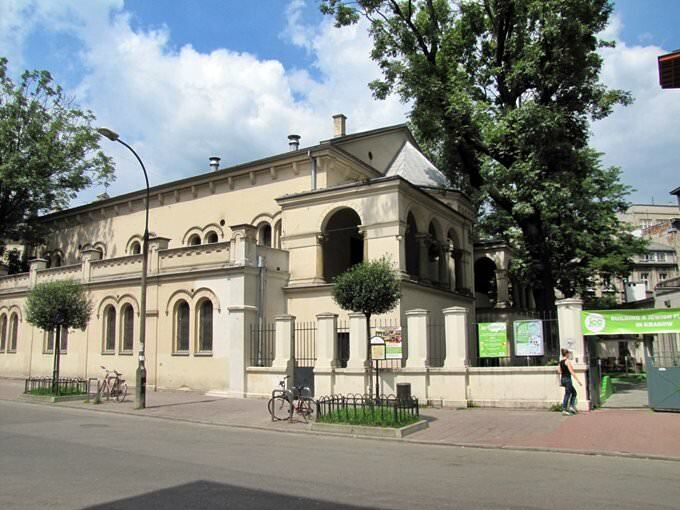 » The Tempel Synagogue is one of the last built in the Jewish quarter of Kazimierz in 1862. » It was built with the money of wealthy city residents who assimilated into Polish and German culture and preached a more progressive form of services. When the organ sounded in the synagogue, women could sit next to each other with men, praying in Hebrew, Polish and German. » The synagogue changed its appearance both externally and internally many times. The pre-war changes were conducted under the direction of the architect Benjamin Torbego and survived until today. » During the German occupation, a hoarse stable and an ammunition depot were placed in the synagogue, which caused damage to the interior. » In peacetime, the interiors of the prayer house were restored from the surviving photographs and archival data. » Tourists are delighted with the unusual decoration of the synagogue, bright stained-glass windows and gold painting. » Now the services are made extremely rare. Entry for the Jews is free of charge. This guide to cultural sights Krakow is protected by the copyright law. You can re-publish this content with mandatory attribution: direct and active hyperlink to www.orangesmile.com. Culture guide to Krakow. 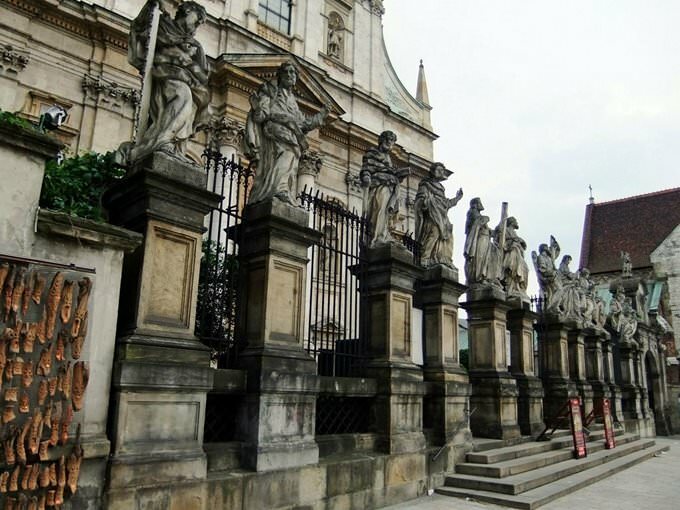 Which fascinating sights to visit once you are in Krakow: temples, churches, museums, theaters and castles. Recommendations (with addresses, phone numbers and links) on the places 'must visit' in Krakow. Plan your own city excursion by using this page info!